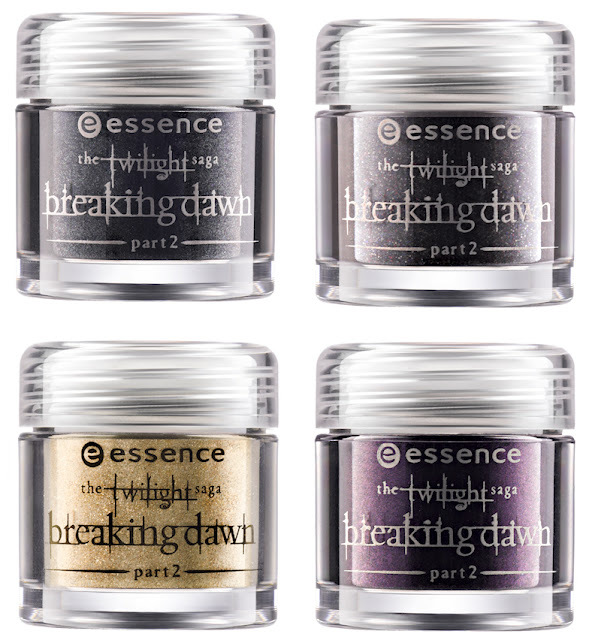 The Essence Twilight Breaking Dawn trend edition will be available in November. Besides polish, it also brings some new pigments for the people who like to create their own polish (or makeup) with it. And yes, the polishes and pigments have the same names. From left to right: Alice Had A Vision - Again, Jacob's Protection, Edward's Love, A Piece Of Forever. 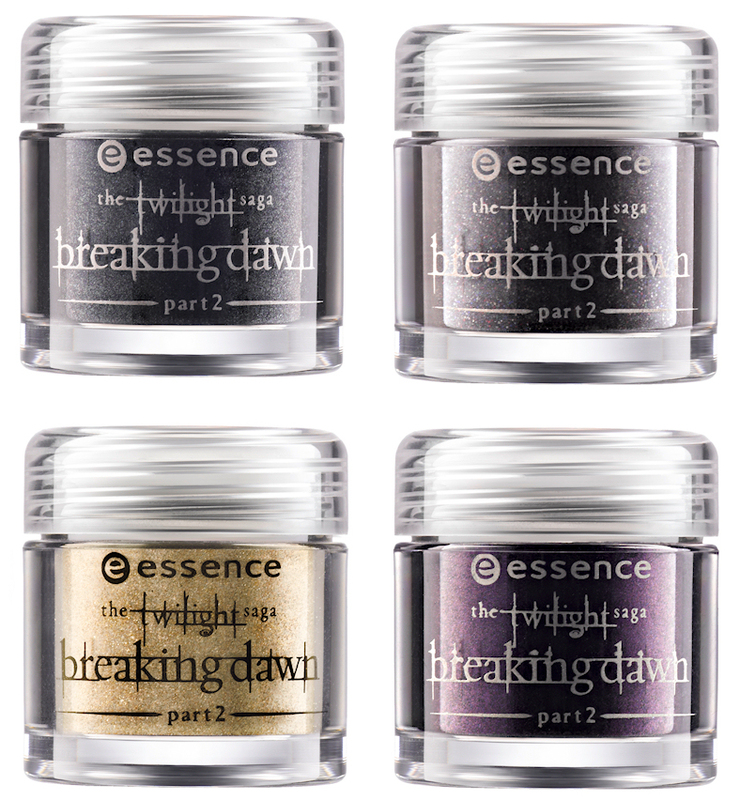 From left to right, top to bottom: Jacob's Protection, Edward's Love, A Piece Of Forvere, Alice Had A Vision - Again. Catrice will come with a limited edition called SpectaculART, this LE will be available in November and December. From left to right: Gold Leaf Top Coat, Artfully Lustrous, Holi Hai, Revel The Red, Soulful. 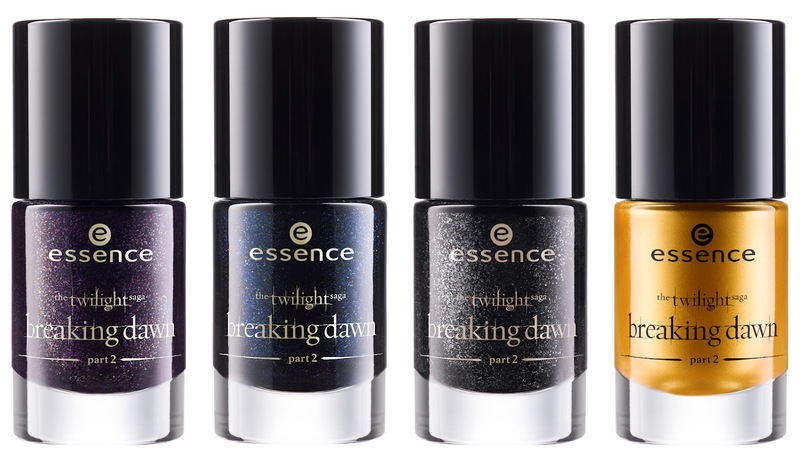 The first polish of these looks very familiar to me (you can click the image for an enlargement), could it be the same as the Million Dollar Baby polish from a previous collection? If it is, you can find my swatches of that polish here. Based on the images I'd skip all these pinks, but I'd like to see the first 3 Essence polishes in real life, those look interesting!